The Oscars felt long last night. And while Benedict Cumberbatch showed us that there’s nothing wrong with a little drinking during the ceremony (we support his flask), most of Hollywood’s elite don’t get to consume anything during the three-plus hours of fanfare. Their reward (for patience and most likely weeks of fasting): full-stocked after parties. 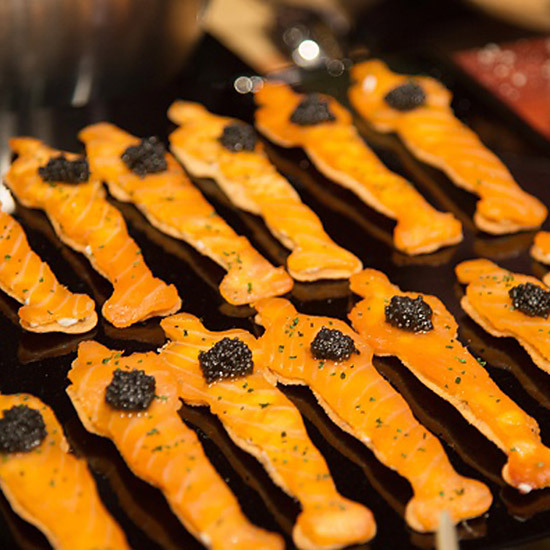 Here’s a look at some of the best things the stars ate after the show last night, from Wolfgang Puck’s now iconic smoked salmon Oscars to the In-N-Out Burger Chrissy Teigen tried to delicately stuff her face with at the Vanity Fair party.